This tapered shank is decorated with stippled, deep texture. 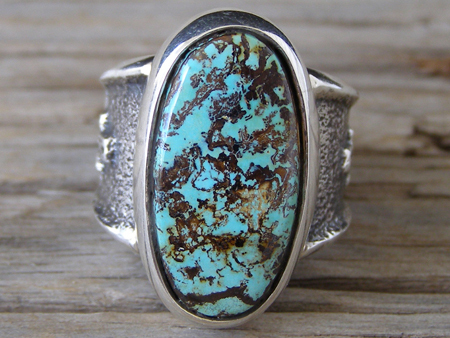 A nice stone of natural, untreated Pilot Mountain turquoise is set in the wrapped bezel. A splendid design!